For anyone who doesn’t think Amazon Studios is capable of producing content as engaging as Netflix’s original series – or anything proper television networks put out there, for that matter – the service’s newest series Transparent will knock those perceptions right out of your minds. Two parts emotionally scattered drama and one part edgy comedy, this is a show that takes what could have been just a gimmicky plotline and spins it into something greater than its parts. Every other Amazon pilot and series now has the challenge of living up to this. Created by former Six Feet Under writer and United States of Tara showrunner Jill Soloway, Transparent is the story of the Pfefferman family, whose patriarch Morton (Jeffrey Tambor) is finally allowing himself to transition into Maura, the transgender matriarch she always knew she was. As one can imagine, making such a drastic change so late in life takes getting used to; not only for Maura herself, who slowly gains the bravery she needs to face a biased outside world, but also for her three children. The first to find out is Sarah (Amy Landecker), a mother of two children and the not-so-loving wife of Len (Rob Huebel). Sarah is going through an identity challenge of her own, as she reconnects with her former lesbian lover Tammy (Melora Hardin), who is also in a relationship (with comedienne Tig Notaro). Though she’s a bit stuck inside her own head most of the time, Sarah is the most accepting of Maura’s surprising entrance into her and her siblings’ lives. Ali, another freebird character played by the resurging Gaby Hoffman, is the wild child of the family. Though she has her own inner demons to deal with, Ali doesn’t let them show in public. She’s the kind of girl who doesn’t mind hitting a bong and inciting a sexual tryst. She also doesn’t mind taking on a posturing goose, but that’s not an everyday occurrence. 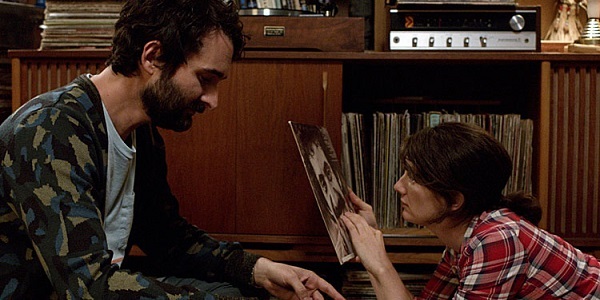 And then there’s Josh (Jay Duplass), the most vapid character of the bunch. Employed in the music industry, Josh experiences life largely through his senses instead of his brain. It’s all about what looks good, what sounds good, and in the case of women, what feels good. As you may or may not have guessed by that description, Josh is the offspring that Maura is least ready to share her story with. The entire cast is superb, especially Tambor, who should get himself ready for an Emmy nomination next year. And we haven’t even talked about the myriad stars who play minor roles. Judith “Who’s the Boss” Light plays Shelly, Maura’s ex-wife and mother of the three kids. Bradley Whitford (The West Wing) plays a transgender “friend” from Maura’s past, while Portlandia’s Carrie Brownstein plays Ali’s best friend. Kathryn Hahn even shows up for several episodes as a rabbi. If there is one complaint I have for Transparent, it’s that there are only ten episodes to go through before having to separate myself from this family. Seriously, this show needs an audience both large and accepting enough to prove to Amazon that the Pfeffermans' stories aren't over, and to show other networks that stories about transgender people are easily as interesting, if not more so, than yet another cop or hospital drama. 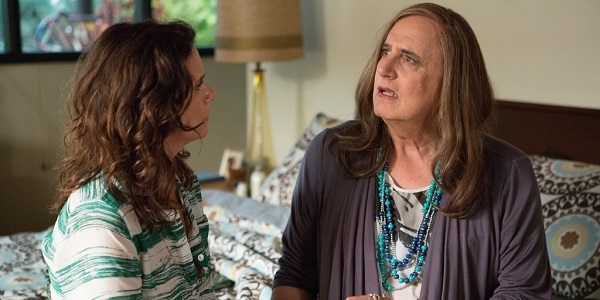 You can currently find all 10 episodes of Transparent streaming on Amazon Prime. Watch them. Savor them.